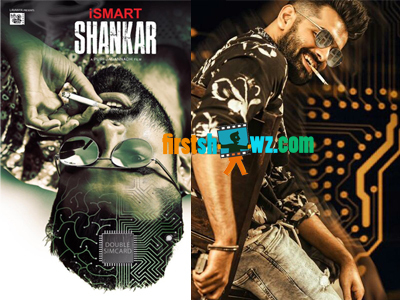 Energetic Star Ram has teamed up with director Puri Jagannadh for the first time ever, and the first look poster title logo and the mostion poster of the film Ismart Shankar is launched today. The first look is earning quite a good response, and Ram says that the Ismart Shankar will be one of the most entertaining characters Puri Jagan has penned. Ram is showcased in a massy and different avatar in the movie, and the movie marks the Energetic Star's 17th film. Ram is seen upside down in the poster with a 'double sim card'. Looks like Puri has an interesting concept surrounding the story. Hunt for the female lead in on, and we are yet to see who gets the chance to pair up with Ram in this mass entertainer. Ismart Shankar regular shoot commences this month and will be released in May. Puri Jagannadh and Charmme Kaur are producing the film jointly under Puri Jagannadh Touring Talkies and Puri Connects banners.